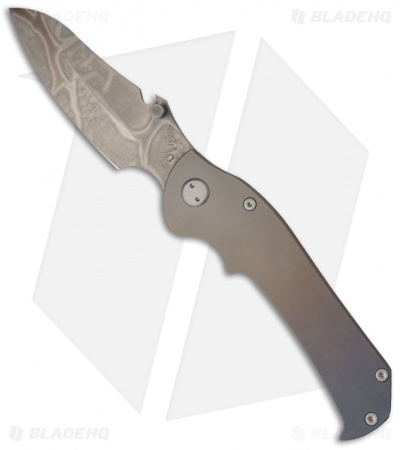 This TFF-3 from Medford Knife & Tool has a custom treated D2 steel blade with a bottle opener on the spine. 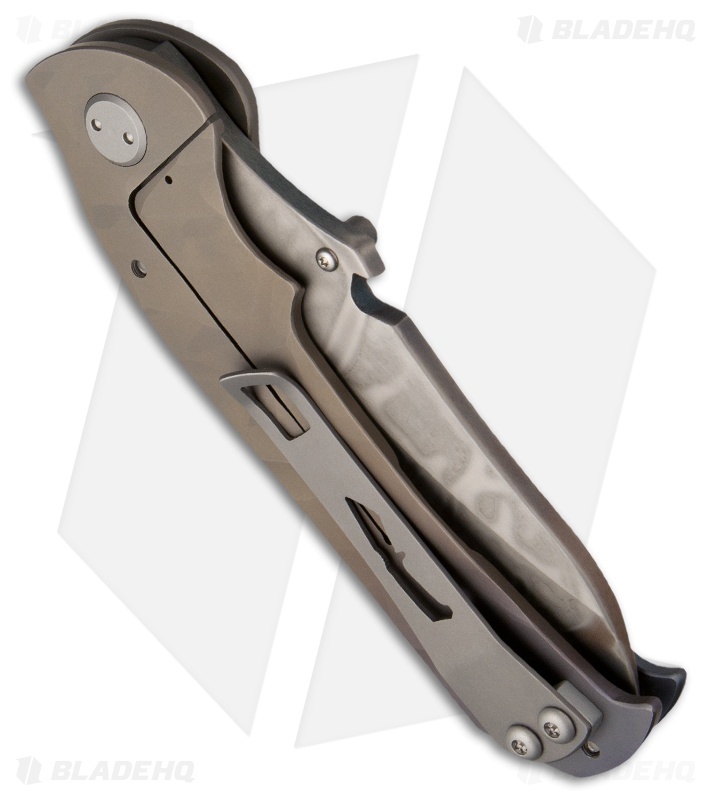 The handle is made up of anodized aluminum and titanium slabs. The front is smooth while the framelock is sculpted. This Custom TFF-3 is a unique knife with an excellent build and solid performance.